Pat was born on March 7, 1946 in Cleveland, OH and was the son of an Air Force Colonel. He married Dorothy Mundy in 1966. Their daughter Colleen was born in 1967 and their son Sean was born in 1973. He entered the automobile business in 1967 and retired in 1990. 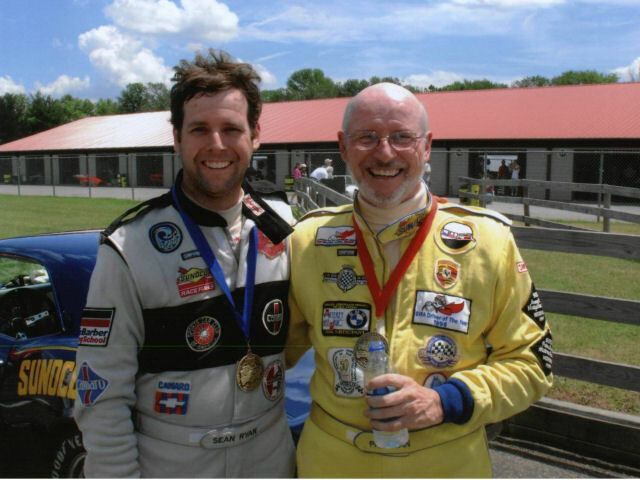 He was a SCCA flag and communications worker at Road Atlanta from 1970 to 1978 and ran Solo E events. His first race was in 1989 at Mid-Ohio SVRA in the same Camaro he races today. Pat has been in over 120 SVRA events with four different cars: ’67 Camaro, 66 Spitfire, ’57 Corvette, and a ’67 Lola T-70 and has won a few. He as part owner of SVRA from 1990-1994 and was a former Group 6 Representative to the Board. He was named “Driver of the Year” in 1995. He relocated to Asheville, NC in 2007 with Sean and Colleen. His favorite thing to do- racing with his son Sean. He is looking forward to racing with his grandson Graham, age 8, and his grandson Zach.